Have you ever looked around and noticed how many people stand hunched over? 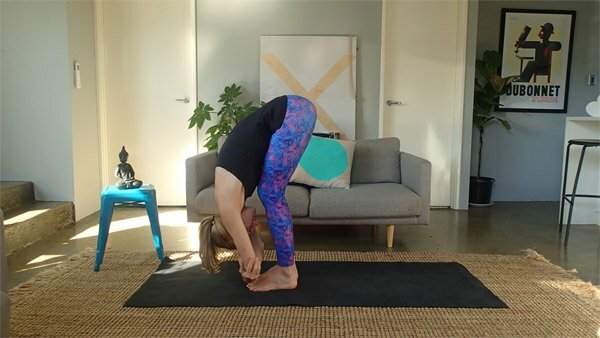 Whether our less than proper posture is due to all the time spent hunched over computers, or if it simply our nature that makes us want to protect ourselves, a few asanas can have you standing tall in no time. 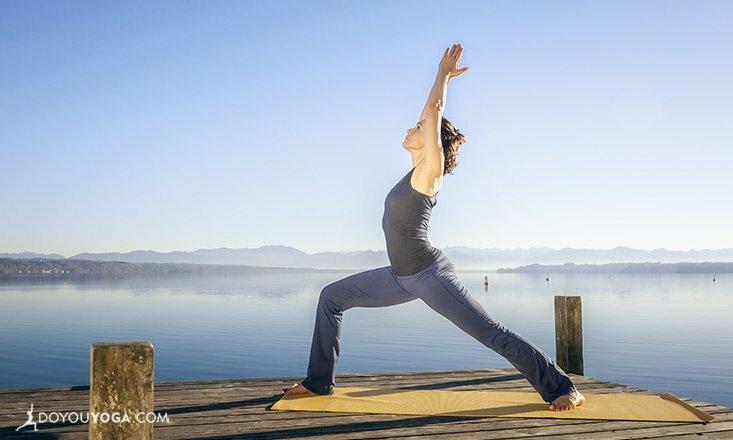 Mountain Pose may look like just standing, but it is the epitome of proper posture. With your feet hip width apart and a microbend in your knees, ground your feet into the mat, place your hips in a neutral position, and tuck your tailbone under just slightly. Slide your shoulder blades down your back and reach the crown of your head toward the sky. 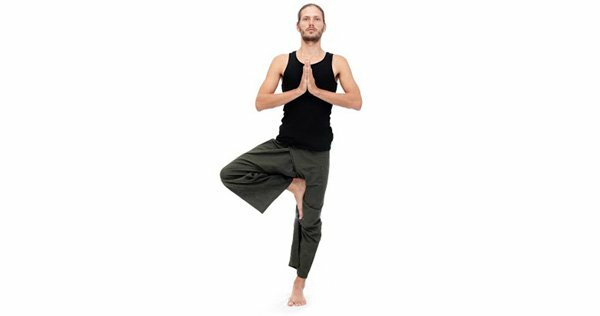 Tree Pose forces you into proper posture in order to balance. Ground your left foot and make sure your shoulders are in line with your hips and your spine elongated. Lift your right foot and press the sole of your foot against your left inner thigh. Now move up through your body to make sure you’re standing tall. Keep your hands at your heart center or reach them toward the sky. Tip: Reach the crown of your head up to the sky and your shoulders down your back. To develop proper posture, you need to know what neutral is, and Cat Cow can help with that. From your hands and knees, inhale and round your back, then exhale and arch your back. Repeat this back and forth motion before bringing your spine to neutral. Take notice of what that feels like so you can experience it when you stand up. Lengthening your spine is a good way to start improving your posture. With feet hip width apart, tilt at the hips to fold forward. Plant your hands on the floor, or grab for opposite elbows. Tip: By adding a slight inward rotation of your thighs, you’ll notice space open up to lengthen your spine even more. Strong, flexible muscles are all part of proper posture, and Down Dog can help you achieve those. From hands and knees, straighten your legs and lift your hips, reaching them to the back of the room. Press your hands into the ground and allow your neck to relax so your spine can grow long. Reach your heels toward the earth to open the back of the legs. Tip: As you breathe deeply, draw your navel toward your spine and feel your whole body grow long. Cobra will help you strengthen your back and improve your posture. Lying on your stomach with your hands under your shoulders, press down into the earth and lift your upper body, drawing your shoulders and the back of your toward the back of the room. Hold this pose for five breaths. Relax and repeat. Tip: The more you can take the weight off your hands, the more your back will benefit. Strengthen your back even more with bow pose. From your stomach, reach your hands back to grasp your ankles. As you inhale, draw your thighs and upper body off the floor. On each inhale, lift your heels higher, bringing your front body further off the floor. As you stand tall and proud like a warrior, your confidence and posture will benefit. From Downward Dog, step your right foot between your hands and rotate your back foot 45 degrees. Bend your right knee so your thigh is parallel to the ground rise up with your fingertips reaching to the sky. Draw your shoulder blades down your back as you tilt your pelvis under just slightly and draw your navel toward your back. Hold this for five breaths before switching sides. Regularly incorporate in your practice any or all of these yoga poses to improve your posture, avoid a life of chronic back pain, and feel more confident, lighter, and stronger in your practice and in your everyday life. Stand tall, fellow yogis!